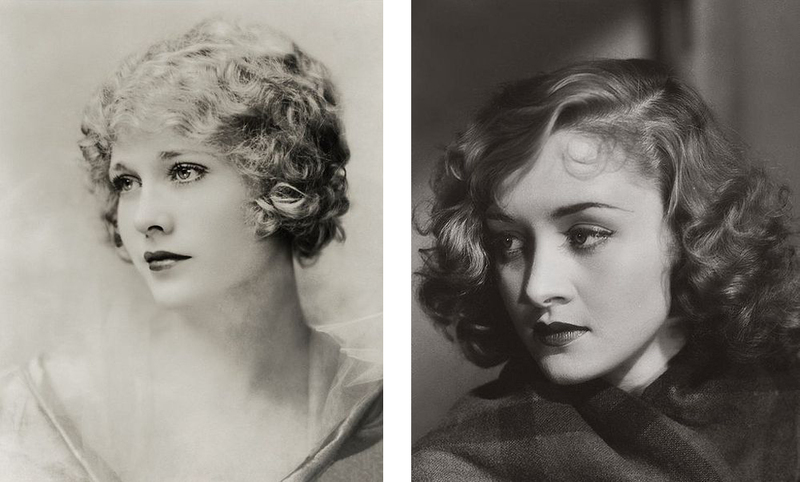 Can you do vintage hairstyles with naturally curly hair? Home Beauty Advice & Tips Vintage hairstyles with naturally curly hair? 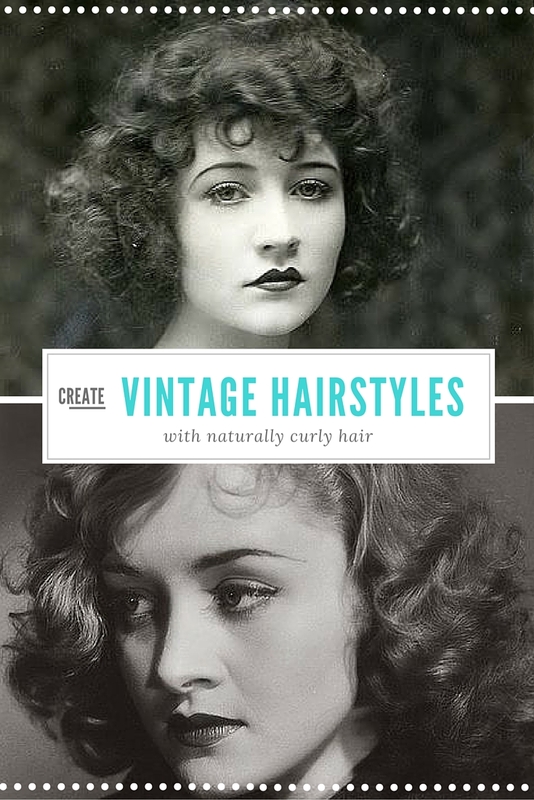 Creating vintage hairstyles with naturally curly hair is easier than you think. I’m always surprised when I have clients with naturally curly hair, that they have so little idea what to do with it. Then I remind myself; I used to have hair like this when I was younger and had just as much frustration. I would iron it, gel it, slick it and go to bed wearing a hat, all in the hopes of waking up with perfect locks. It wasn’t until I began to learn the secrets of vintage hair styling that I realised just how lucky I was to have naturally curly hair! In today’s episode of Ask The Editor, we look at a viewers question in regard to vintage hairstyling for naturally curly hair. Everyone has varying opinions on this topic, but in my experience with hundreds of clients over the years, I can comfortably say that yes, there are simple and fast ways to create vintage hairstyles with naturally curly hair. If you have curly hair and can add some of your own feedback for us, please join the conversation! Over the week I’ve also had a bunch of questions about the scarf I use when setting my hair, so I’ve also included some simple to follow instructions on the DIY headscarf you saw me wearing here- Middy Haircut and Setting tutorial. Making your own scarves is very simple and rewarding. It’s a very quick and inexpensive way to change up an outfit and hide a multitude of hair sins. If you have more tips for Mona D on how to wear her curly hair in a vintage style, make sure to add your comments to the video where everyone can see them. 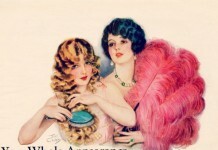 Previous articleThe Perfect Vintage Hair Cut – The Middy and How to Style It. Love your posts! Just wondering which red lipstick are you wearing in this fab vid??? Great video! I love this series. What vintage hairstyle works best for baby fine, thin(ish) hair? I struggle with this. Thanks, in advance, for any help you can provide. Hi! I too have the same natural curl in my hair as Mona D. I find that a wet set is a fantastic way to create vintage styles . I use setting lotion all over my hair. I set my hair in pin curls, but I leave the crown of my hair and about half way down the back of my head flat without curls. In other words, I do only 3 small rows of pin curls near the nape of my neck leaving 4 inches down from my crown flat in the back. I use a small tooth comb to get that area nice and flat and because I’ve used setting lotion all over my head, it “sets” this area straight. Then when it’s completely dry (I usually let it dry overnight), I get to brush it all out. It’s actually fun to brush my curly hair, because I would never do that when it’s in its “natural state”. Just keep brushing sections until the curls start to form nice shapes. I used to not like my curly hair, but now I realize that it gives body and long-lasting hold to my wet sets. My sets usually last 3 days, and that’s with brushing through each day. So, just play around and have fun! Cheers! hmmm sounds good. Which setting lotion do you use? Hi Candice! I’ve been watching all of your tutorials and this is the first time I am going to leave a comment. I really love the way you speak and all of the tips you’re sharing is really useful. I am the only one in our family who doesn’t have a curly hair and I sometimes do the permanent curls done in a salon, and I enjoyed styling my hair in different ways. I can do up dos that are easy to do, side ways buns and sometimes I use a scarf as my hair accessory. What brush should you use on the curly hair when you brush it out? What type of brush should I use to brush the curls out every night? Would the above process work for extremely thick, almost afro curly hair? Especially as mine is so prone to Frizz! I’m almost too scared to try it! Hi. I have the naturally curly hair like in the video and lengthwise if brush out it is almost to my hips. I did a wet set with foam rollers and the curls came out nicely shaped. However, I spent over an hour attempting to brush it out and it did not lose the puffy frizz. I am mixed and wonder if the coarseness of my hair plays into it. Should I try just combing the curls if I want to wear my hair down? 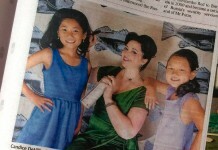 Though vintage hairstyles that are updos I can do in 5 minutes with just gel or pomade hair on wet. Thank you.